This small Tacori pendant necklace from the Onyx Envy collection puts a dab of gorgeous color into your look. 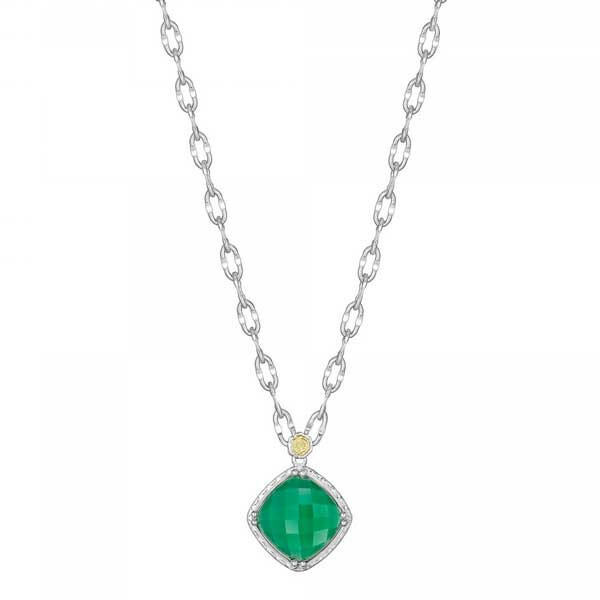 Set in sterling silver that is etched with the crescent design, a small square of green onyx, which is layered with clear quartz, glows brightly from an 18" sterling silver chain. It's good to be green int his Tacori necklace!